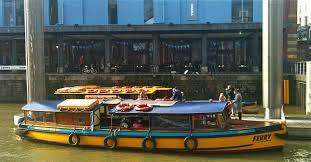 Ferries have been an integral mode of transport in Bristol from the medievil times however by the 1970’s they had all gone. We now have two companies running a commercial ferry service in the harbor Bristol Ferry Boat Company and No 7 boats. There is also Bristol Packet Trips running tours of the Harbor and more.